Restaurants aren't as super-abudant in Hilo as they they are in Kona but there are still a lot of great dining options around on the east side of the Big Island. The main reason there aren't as many choices as there are in Kona is quite simply that, even though Hilo is a bigger city, Kona is the tourism center of the Big Island and with lots of tourists comes more restaurants, shops, activities, etc. 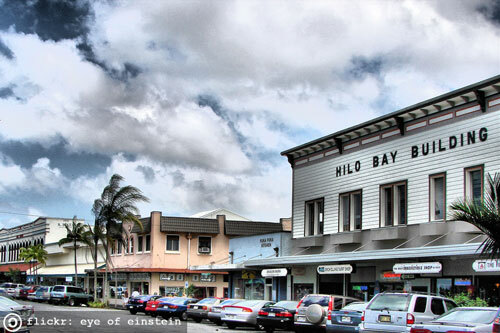 Hilo has a quieter feel than Kona but it has a lot of great charms and some excellent places to eat. The upside of attracting less tourists is that Hilo's restaurants have to cater to the locals and that means they have to be good. Okay, that doesn't mean that all Hilo restaurants are good, but the general principle holds up. In Kona, a restaurant that looks good and has a good location downtown will pull in hordes of tourists, sell them expensive drinks where they can "keep the glass" and just keep doing that whether they are really great places to eat or not. Without the major flocks of tourists in Hilo, local restaurants have to do a better job of keeping their local diners happy. Over on the Kona side, it's not the locals who are packing out the Bubba Gump Shrimp Co. night after night. There's no better way to dine when traveling than to eat what the locals eat, so the best Hilo restaurants are tried and true local favorites that offer visitors some very good dining options. 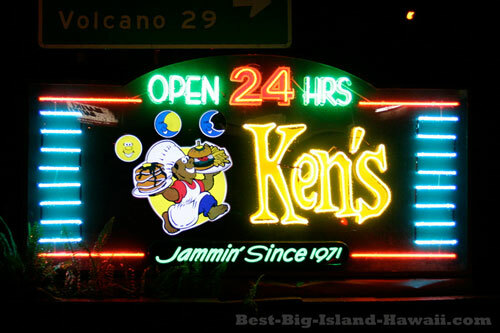 Ken's is the go to diner in Hilo and serves up great local food and diner favorites 24 hours a day, 7 days a week. 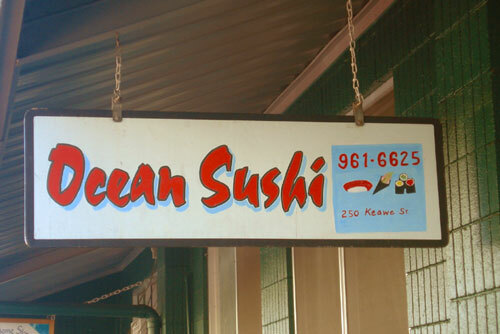 A hole in the wall in downtown Hilo that will satisfy any sushi lover's tastes. A very good value for very good sushi.